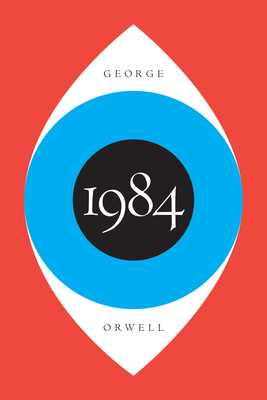 Written in 1948, George Orwell's classic book 1984 has great relevance for the modern reader. As is typical with this genre of books (such as Fahrenheit 451 and The Giver) a hero emerges who challenges the status quo of a totalitarian government in a dystopian future. What is startling about this book is that many of its themes can be found in modern life. The reshaping of consciousness (as evidenced by the Common Core, political correctness, the liberal news media, the entertainment industry, the prevalence of liberal college professors at our universities), the erasure of memory (revisionist history, the goal of removing all things Confederate), the surveillance state (Big Brother), control of thought and speech (again, political correctness), and a state of continuous war (the Global War on Terror) are all ideas and trends that can be found in both this book and in modern society. One can also see evidence of doublespeak in both this book and in modern life: there is nothing affordable about the (un)Affordable Care Act. Moreover, people are now being deceived into thinking that if we give more of our money and more of our freedom to the government, then, (somehow) we will create more prosperity and more liberty. Nothing could be further from the truth. Amazingly, George Orwell had the future all figured out decades ago with this eye opening and prescient book. The question is, are modern readers going to heed Orwell's warning? A story of how a person thinks how things could happen, and could come to light again, based on the present governement overruling our Constitution. Half the size of a regular hard cover book. Threw it in the trash. The question would I recommend this item to a friend doesn't seem to apply to a seller review. The book is boring. The state of the book when received was excellent as was the length of time it took to receive the book.